‘Less noise’, public awareness poster, 1960. Josef Müller-Brockmann was born in Rapperswil, Switzerland in 1914 and studied architecture, design and history of art at the University of Zurich and at the city’s Kunstgewerbeschule. He began his career as an apprentice to the designer and advertising consultant Walter Diggelman before, in 1936, establishing his own Zurich studio specialising in graphics, exhibition design and photography. By the 1950s he was established as the leading practitioner and theorist of Swiss Style, which sought a universal graphic expression through a grid-based design purged of extraneous illustration and subjective feeling. His ‘Musica viva’ poster series for the Zurich Tonhalle drew on the language of Constructivism to create a visual correlative to the structural harmonies of the music. Müller-Brockmann was founder and, from 1958 to 1965, co-editor of the trilingual journal Neue Grafik (New Graphic Design) which spread the principles of Swiss Design internationally. He was professor of graphic design at the Kunstgewerbeschule, Zurich from 1957 to 1960, and guest lecturer at the University of Osaka from 1961 and the Hochschule fur Gestaltung, Ulm from 1963. From 1967 he was European design consultant for IBM. He is the author of The Graphic Artist and his Design Problems (1961), History of Visual Communication (1971), History of the Poster (with Shizuko Müller-Yoshikawa, 1971) and Grid Systems in Graphic Design (1981). He has contributed to many symposiums and has held one-man exhibitions in Zurich, Bern, Hamburg, Munich, Stuttgart, Berlin, Paris, New York, Chicago, Tokyo, Osaka, Caracas and Zagreb. In 1987 he was awarded a gold medal for his cultural contribution by the State of Zurich. Yvonne Schwemer-Scheddin: You are the protagonist of the Swiss School and stand for objective, radically minimalist geometric design. You invented the grid system for graphic design and were the first systematically to outline the history of visual communication. For Le Corbusier, order was the key to life. Georges Braque said, ‘I love the law that orders the creative.’ For Berthold Brecht, order covered up a deficit. What does order mean to you? Josef Müller-Brockmann: Order was always wishful thinking for me. For 60 years I have produced disorder in files, correspondence and books. In my work, however, I have always aspired to a distinct arrangement of typographic and pictorial elements, the clear identification of priorities. The formal organisation of the surface by means of the grid, a knowledge of the rules that govern legibility (line length, word and letter spacing and so on) and the meaningful use of colour are among the tools a designer must master in order to complete his or her task in a rational and economic matter. YSS: What do you regard as your best work? JMB: The white reverse sides of my posters! YSS: What was your most creative period? JMB: My most creative period was in fact the worst because at that time my work was still illustrative. But this period of discovery and clarification eventually led to the rich productivity of my 40s. YSS: You were influenced by Carl Jung, but then lost interest. Why was that? JMB: As a young man I was intrigued not only by psychology but also by graphology. When I met people who interested me I would read their handwriting and was rarely wrong in my judgements. But this gift began to disturb me, especially in my dealings with clients, where it would unnecessarily prejudice discussion. So I abandoned it overnight. Later I paid the price for giving up these analyses when I took on partners and employees whose handwriting would have given me an early warning of trouble ahead. YSS: What is the source of your efforts to clarify everything and aspire to what is eternally valid? Is it a protest against death, or a fear of looking behind the picture to the unconscious? JMB: The unconscious is part of the support structure: everything that is stored there comes to light in the work process. What I try to achieve in my work is to communicate information about an idea, event or product as clearly as possible. Such a down-to-earth presentation is barely affected by present-day trends. But it is not so much a question of making a statement that will be valid for all time as of being able to communicate information to the recipient in a way that leaves him or her free to form a positive or negative opinion. YSS: You work to quite a definite rational model, though life for the most part unfolds intuitively. JMB: But the model is always individual. Had you asked me 40 years ago, I would have been more confident in my defence of the rules than I am today. I have changed. Personality is defined in two ways: what is inherited and what is consciously assimilated. In my case, reading has broadened my knowledge, and my intuition, inspiration and emotions stem from what I have taken in. But rules are important. Laws enable multitudes of people to live together – no nation can exist without laws. They favour the freedom of the many at the expense of the individual. YSS: Why is the measurable, the demonstrable, so fascinating? JMB: The greatest works of art impress through their balance, their harmony, their proportions, all of which can be measured. That is one of the reasons why paintings, sculptures and buildings that are thousands of years old – by the Egyptians, Chinese, Assyrians and so on – are still fascinating to us today. Mondrian, on the other hand, did not use measurements and therefore took a long time to do a painting. However, few artists possess as much intelligence, sensibility and intuition as Mondrian. YSS: So did you trust to intuition in your illustrative period? JMB: Yes, because I wanted to explore the limits of my artistic ability. Until I was 30 I had been trying out various styles and techniques to find out where my talent might lie. I had quite a lot of apparent success with my illustrative work, but as a result of my ruthless self-critical analysis I saw that I possessed no essential artistic talent beyond the ordinary, and the creativity of a mediocre person is of no general interest. You can’t learn to become an artist, but you can learn to become a useful graphic artist. Intensive study of typography will reveal its laws, and the same holds for photography and compositions using typographical, photographic and graphic elements. YSS: So you opted for clear-sighted reason, for reducing things to their essentials – to serve a democratic purpose? JMB: I have always known that my illustrations, drawings and paintings are entertainment. They were quite good, but harmless. I was also successful in using a mix of surrealistic illustration and factual information in exhibition designs in the 1940s and 1950s, but the lack of objectivity disturbed me. So for the ‘Landi 1964’ [the Swiss regional exhibition], I eschewed all playfulness and subjectivity and arrived at an objective typographic-pictorial solution. I had to teach myself how to look critically at my work and make distinctions between what is creative, imitative or merely intellectually calculating. After four worthless years of war I wanted to have a positive, constructive role in society. I couldn’t improve textual-pictorial communication through my artistic work but I could do so through rational-objective typography and functional, unmanipulative photography. No one can exceed his or her limitations. Any time I tried I failed. My limitations are closely circumscribed – I have not come far – but I have kept my sense of humour because I have accepted them. Switzerland is a country of the norm. Genius flees this landscape, this Zurich Gemütlichkeit, the culture of the farmer and the burgher. It is no accident that geniuses such as Le Corbusier, Arthur Honegger or the bridge-builder Othmar H. Ammann first found recognition abroad. YSS: How did you come to take up graphic design? JMB: I became a graphic designer by accident. At school I was loath to write much for compositions so I put in illustrations instead. My teacher enjoyed them and thought I had talent. He suggested that I should pursue an artistic career: gravure etching or retouching, for instance. So I was apprenticed as a retoucher in a printing works. I lasted one day because I said that this wasn’t artistic work. After that I was apprenticed to two elderly architects. With them I lasted four weeks. Then I went to see all the graphic designers I found listed in the telephone directory because I wanted to find out what they did. Afterwards I enrolled to study graphic design at the Zurich Gewerbeschule. YSS: Back to Switzerland again. It was through your work and that of your students and fellow-artists – Max Bill, Richard P. Lohse, Hans Neuberg, Carlo Vivarelli and others – that Switzerland developed a cultural identity. JMB: Bill, Lohse, Neuberg and Vivarelli were my mentors. The first two through their artistic works, publications and their activity in the Swiss Werkbund, and Neuberg as a critic and designer, had a lasting positive influence on all areas of design. I, too, in my work – and thanks to good collaborators – was able to make a positive contribution in the 1950s and 1960s. My students in Zurich between 1957 and 1960 attracted attention later when their works were published in Neue Grafik. YSS: The magazine Neue Grafik made the Swiss School known throughout the world. How did the publication come about? JMB: I had the idea in 1955 of founding a periodical for rational and constructive graphic design to counter the excessively irrational, pseudo-artistic advertising I saw around me. I allowed the idea to develop and then asked Lohse, Neuberg and Vivarelli if they would like to collaborate. The magazine appeared from 1958 to 1965. YSS: You have written innovative books and a collection of your works and a slim volume of autobiography are soon to be published in English by Lars Müller in Zurich. When have you found time to write in the course of such a full professional career? JMB: I have always regarded a book as a design opportunity, nothing more. It was more like enjoying myself in my free time. I was motivated to write something on the history of visual communication by the insight that from the beginning man has used images as a defence against his inner and outer world, his fears of a threatening environment. At the time I knew of no book that dealt with this subject. Similarly I hadn’t found anything interesting written about the history of the poster. YSS: How can you be so sure that objective communication of knowledge is uplifting? 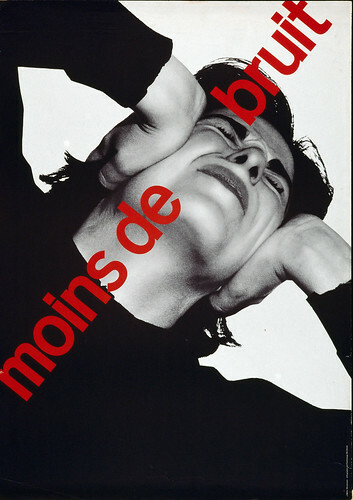 JMB: I have never maintained that objective-informative advertising is uplifting. It clearly isn’t like that, but it does reflect an honest attempt to present unmanipulated information to the general public. Subjective interpretation leads to a falsification of the message. YSS: Instead of illustration you favour sober, realistic photography. Are you disturbed by emotion in images? JMB: Illustrations are always understood as an artistic product, a subjective statement. Photography is a credible reflection of reality that enables me to make an objective statement. Emotion in images, as in painted realisations of ideas and visions, can produce genuine works of art, but in advertising I value as much objectivity as possible. YSS: The 1978 jubilee book for heating systems manufacturer Weishaupt contains pages that are pictorial and multi-layered. But information is conveyed and there is no emotional noise. The 1986 invitation card for the Hans Arp exhibition also has several visual layers. Was this suggested by the subject matter? JMB: Yes, the subject matter suggested the need for imaginative design. YSS: Isn’t that, in the Müller-Brockmann sense, subjective, if not illustrative? JMB: In the Weishaupt publication the computer, functionally ever more important in industry, is presented in the third dimension, in depth. This pictorial element is to be understood as a simple comment. In the Arp card I used pictorial symbols that Arp had created and which could be read as his illustrations. YSS: Many now famous graphic designers have worked in your studio. One repeatedly hears that they felt happy and highly motivated there. How did you achieve that? JMB: Many young people were attracted to my professional approach. It allowed for an individual interpretation and development of my ideas without lapsing into a subjective and alienating interpretation of the job. I always focused on the theme, the product, the event, and it was this which gave rise to the design solution. Until Müller-Brockmann & Co was set up, all the work that left my studio was checked, evaluated and possibly amended by me. Thereafter the partners took on projects that they saw through independently from start to finish. YSS: You sold all the antique furniture and porcelain that your first wife Verena brought into your marriage, acquiring twentieth-century furniture by Le Corbusier, Miles van der Rohe and Marcel Breuer in its place. What does tradition mean to you? JMB: I feel a deep obligation to tradition in so far as it is the conduit of timeless values. My efforts to educate myself, to understand the interconnections in Constructivism for instance, explain perhaps my openness to other disciplines such as art and architecture. These supplied the spiritual and aesthetic soil for the growth of a corresponding personal formal idiom, an architectonic typography that confined itself to essentials and found a contemporary expression for universal values. YSS: You orientate yourself on the best of what mankind has achieved. JMB: I try to keep this orientation open and alive. For instance in the case of typefaces, I exploit what brilliant people have created in the way of knowledge, imagination and psychological truth. YSS: For years you ran an internationally famous gallery for Concrete Art. How important is art to you? JMB: It is a genuine compulsion. The study of art has been one of my basic needs and I have consciously sought an artist as my companion in life: my first wife, who died tragically early in a car crash, was a musician and my second wife, Shizuko Yoshikawa, is a painter. Concrete Art is the kind of art that appeals to me most directly as a graphic artist. Its principles, which are open to analysis, can be transmuted into graphic terms. Of all the art movements of the twentieth century it is the one that is universal and still open to development. You might say it is the art in which I can discover the fewest flaws. YSS: In a sense you are a late-avant-gardist. You have made Modern art and the ideas of Bauhaus useful. JMB: No. What Klee or a Moholy-Nagy could achieve was never within my scope. I could only adopt their attitude. I possess all fourteen of the Bauhaus books and their underlying sensibility, the intellectual breadth and imaginative range of Klee and Schlemmer, Itten and Kandinsky, have impressed me enormously. The achievements of the avant-garde woke me up and forced me to reflect. In my work I have tried to use their thought processes to find clear formulations for my own thoughts in the light of contemporary conditions. YSS: Unlike your democratic, socio-humanist design work, El Lissitzky and the Russian Constructivists were highly political. Or think of Futurism’s role in glorifying war. JMB: All design work has a political character. It can be socially oriented, or humanist, or conservative. Italian Futurism was bellicose, but that has nothing to do with Modern typography. El Lissitzky’s poster ‘Beat the Whites with the Red Wedge’ was not Modern typography but design with geometric forms. Jan Tschichold’s New Typography, by contrast, was poetic, transparent and open, not at all despotic or tyrannical. I have never understood why Tschichold reverted to centred type, unless it was old age – we all become softer, more conservative as we grow older. YSS: Tschichold rejected the fascist element concealed in the form. JMB: But symmetry and the central axis are what characterise fascist architecture. Modernism and democracy reject the axis. YSS: One senses that your work is rooted in an ethic of industriousness and personal integrity. JMB: That’s because I have taken my love of order to the point of manifest boredom, producing design solutions which are valid but deadly boring. Thanks to the passage of time, I am now just about able to examine my posters for the Zurich Tonhalle to discover why some are better than others. I am amazed how many are bad. The Beethoven poster is good, also the ‘Musica Viva’ poster of 1970 with the green lettering on a blue background and the two Tonhalle posters of 1969 and 1972 with the rhythmic type. YSS: That is typographic Concrete Art. JMB: Concrete Art is based on measurable proportions. In my designs for posters, advertisements, brochures and exhibitions, subjectivity is suppressed in favour of a geometric grid that determines the arrangement of the type and images. The grid is an organisational system that makes it easier to read the message. YSS: There is a noticeable development, in the music posters as well, from pictorial illustration to purely abstract rhythms. JMB: The design of the music posters is a special case in that they were not sales oriented – their appeal was intended to be artistic. The stylistic difference between the posters with pictorial geometric forms and the purely typographic ones is that the latter contain no pictorial interpretation of the musical programme. Without exception they are free creations that took shape within the underlying grid system. For the most part the effect of these posters is lighter and more poetic. YSS: Would you still teach the grid and order today? JMB: Can you image the Chartres Cathedral, the Eiffel Tower or the work of Le Corbusier other than how they are? No great work is created without material rules, without knowing about stress ratios or the laws of perception. Sometimes I would set my students to an introductory exercise of depicting a dam burst typographically to bring out the difference between expressive and informative design. We always got interesting, and occasionally hilarious, results. Tomorrow or in ten or twenty years’ time aesthetic tastes will have changed, but laws last and are independent of time. The golden section, for instance, is a simple, elegant ratio of proportions that is understood by all cultures and is present in both man and nature. In teaching I try to establish rational-objective foundations that are accepted by all and which can be developed individually. YSS: One doesn’t notice the grid in your traffic posters, though your sketches for them look like Concrete Art. JMB: The grid allows endless individual variations. The Italian Roberto Lanterio found rich, wide-ranging solutions using the grid, the Germans use it soberly, the Swedes fill it with imagination. Its applications are as varied as the designers themselves. For the naïve designer it is no more than an aid. The grid has existed in town planning, in China for instance, since at least 1500 BC. Rectilinear streets are the most economical solution. What I did was apply the grid system to graphic design. The impulse to do this did not come only from architecture – typography since Gutenberg has striven for order. The grid is an organisational system that enables you to achieve an orderly result at a minimum cost. The task is solved more easily, faster and better. It brings the arbitrary organisation of text into a logical system in keeping with the content. It can demonstrate uniformity that reaches beyond national boundaries, a boon to advertising from which IBM, for instance, has profited. Objective-rational design means legible design, objective information that is communicated without superlatives or emotional subjectivity. YSS: You reject artistic training for graphic designers, though you find art and music highly stimulating and are in favour of cultural diversity. Might your students not experience and judge the world in a very one-sided way? JMB: In training young people to be designers, the first thing that must be taught are the laws of design which enable them to develop their own talents and to approach rational projects in a rational way. A predominately artistic foundation may be appropriate for artists, painters and sculptors, but as a teacher of graphic design I have repeatedly impressed upon my students that while it is important to be interested in music, old and new, in theatre and opera, old and new architecture, they must also concern themselves with town planning, environmental issues and politics. YSS: What is your opinion of contemporary decorative and digital typefaces? JMB: Some set themselves the task of making typography so unreadable that it is almost like a picture puzzle. The illegibility is then sold as an artistic project. I wouldn’t read something like that unless I had to. The same rational criterion applies to wobbly forms and blurred contours: can I read this faster? Text is communication of content, a fact reflected in classical typefaces and legible typography. YSS: The idea today is that by appealing to people’s emotions, stirring their interest by exciting their visual sense, they will be encouraged to read. JMB: We’re building on a shaky foundation if we have to use these methods to encourage people to read. YSS: What do you think of the typefaces designed for Neville Brody’s Fuse? JMB: These typefaces are not suitable for advertisements and posters. They are exceptions to the rule and individual cases are not a basis for teaching graphic design. These alphabets are confused, aesthetically lacking and bad. Playing around is always an excuse for too little understanding, which makes people fall back on imagination and speak of artistic freedom, inspiration and good ideas. Such typefaces are interesting as studies in legibility. But I don’t see any sense in them. They are a personal attempt to deal with a problem and I find them not only bad but senseless because they lack an area of application. YSS: These digital experiments are a quest for a new visual idiom. JMB: When Picasso invented a new way of painting he didn’t say, ‘I experimented.’ He had worked it through. When you look at typefaces like these, they seem feeble, and what is feeble is never good. Everything in history that has been good has had power and expression. If there is only a hint of greatness, then it cannot be built upon. But when young people lack knowledge and vision, when they are fascinated by something they think is great because they lack terms of reference, then in their ignorance they find such experiments acceptable. It’s nice to try something out – that is positive – but it doesn’t mean I should ignore the negative aspects. YSS: This is perhaps the advent of the final inertia which was described a century ago by H. G. Wells in The Time Machine, or the death of creativity. JMB: Creativity is innate in everyone. It is open to new techniques, instruments and social arrangements. You can only glimpse which new creative forms will be good enough to survive the passage of time, but what we have up to now are hopeless attempts. For instance, this ‘C’ here [Lucas de Groot’s Move me] is not closed enough, has too much of an opening. The tension is dissipated. When I was asked to do the logo, headline face and layout for the German cultural magazine Transatlantik, I told Hans Magnus Enzensberger that I was not the right man. For me a periodical is too open a vehicle. The quality of the text varies and I have no idea what form it might take in the future. To draw a typeface is too difficult for me. I am not a genius, I am mediocre. People like Bodoni, Garamond, Caslon or Baskerville were type designers of genius. I don’t consider the Transatlantik type good. I must stand by this, though it’s uncomfortable. Others must know that what I leave is not good. 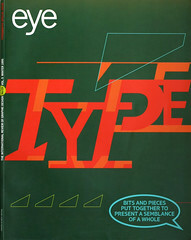 YSS: What typeface would you choose if you were a young graphic designer today? JMB: Berthold’s Akzidenz Grotesk and the classical Roman types such as Garamond, Bodoni, Caslon and Baskerville. I have come to value Akzidenz Grotesk more than its successors Helvetica and Univers. It is more expressive and its formal foundations are more universal. The end of the ‘e’, for instance, is a diagonal which produces right angles. In the case of Helvetica and Univers the endings are straight, producing acute or obtuse angles, subjective angles. YSS: You often use the word ‘anonymous’ in connection with type. Do you mean neutral-rational? Genuinely anonymous design is achieved with digital instruments whereby the author no longer exists. Does this suggest that in the future visual communication will be much more anonymous, banal? JMB: You’re right. By anonymous I mean neutral, rational typography which has nothing to do with banal typography. Our western typefaces are based on the universal shapes of circle, square and triangle. That makes them rational and objective and gives them an elegance that is recognisable by all cultures. A classical Roman, for instance, is equally good for many purposes and is thus objectively useful. It is not seen primarily as an individual type but as legible and anonymous. YSS: What influence did Japan have on you when you taught there? JMB: In Japan I saw Noh theatre for the first time and was instantly captivated. Every movement of the Noh actor is measured and bursting with tension. Nothing is left to chance, yet it is full of life and poetry. Japanese temples also had a profound effect on me. I discovered the secrets of Zen landscape architecture only a couple years ago when I spent two days out of four in Kyoto studying Zen gardens. YSS: Why was Japan interested in the Swiss School? JMB: At the end of the 1950s Japan’s interest in the west was enormous. Then came the 1960 World Design Conference in Tokyo, to which I was invited. I outlined my teaching method. The next day two school presidents invited me to come and teach in Tokyo and Osaka. I think at first the best-known Japanese designers and architects came to my Sunday classes out of curiosity. I told them to study their own history, which contains everything they need for good design: The Noh theatre, the temples, the gardens. Their Japanese teachers at the time spoke only of Europe. YSS: You live in and with your books, you browse in your library. Will future generations browse only in virtual data banks? Will they still communicate? JMB: The experience of holding a valuable book in your hands cannot be replaced by technology, no matter how perfect. To be able to capture an interesting thought in elegant typography will always be an incomparable delight. But future generations will no doubt learn to use the opportunities the data banks provide in a positive way, in a communicative spirit, because communication is basic human need. YSS: When you look at today’s increasing irrationality, the endless lust of power and its destructive consequences, do you see any hope for reason and humane communication? What can designers contribute? JMB: Negative things can also provoke positive things. The search for a better quality of life has led to the creation of many institutions concerned with examining eastern and western philosophy in order to find meaning of our lives and how we might live accordingly. In the various areas of design the democratic approach – the awareness that our professional efforts should be directed to the good of the general public – has become stronger. The contribution of this approach to the achievement of a more humane future should not be underestimated. YSS: Perhaps because you wisely limited our field of activity, you were able to attain a unity of life and work. Will this still be possible in the future, with increasing fragmentation and individualisation? JMB: Everyone must face this question and everyone must find their own answer. I see the task of parents and teachers as being to instil a positive attitude in young people, to explain that each individual can have vital social and cultural function and to direct their work towards the interests of the general public. YSS: When you look back on your work, what appears important to you? What would you like to pass on to young people? JMB: I have always felt obliged to make a constructive contribution to the future of society. I have never lost the feeling that I have a task to perform. What pleases me is that I have always sought what is better, that I have remained self-critical, and that I am still interested in things outside my own field. My library is the expression of my curiosity. I would advise young people to look at everything they encounter in a critical light and try to find a better solution. Then I would urge them at all times to be self-critical.